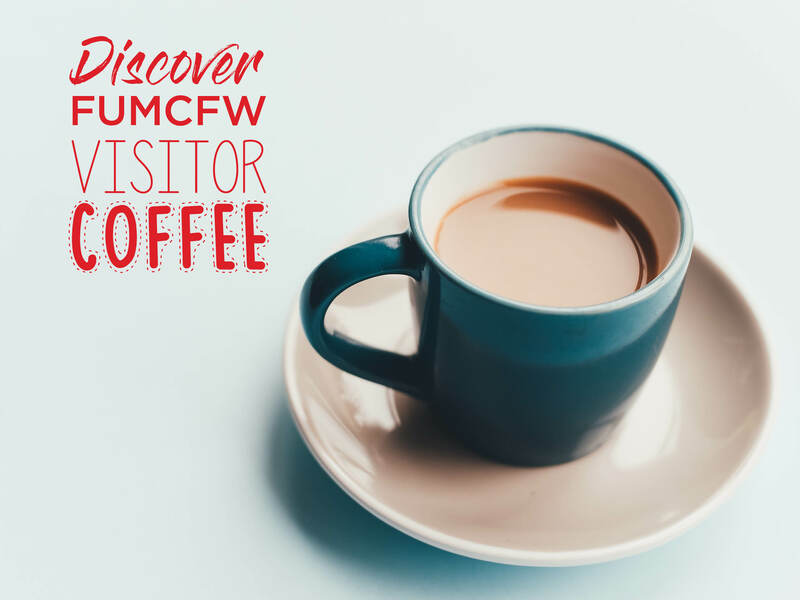 This come-and-go event is held on the first Sunday of each month as an opportunity for visitors to get a snapshot of who we are, what we value at FUMCFW, and how to find your place in our dynamic and welcoming faith community. We invite you to come enjoy a cup of coffee with our pastors, staff, and other church members. It is our hope you find FUMCFW a place to discover meaning and purpose in a life with Christ, as well as a great place to make personal connections and build relationships that will last a lifetime. Please make plans to join us!